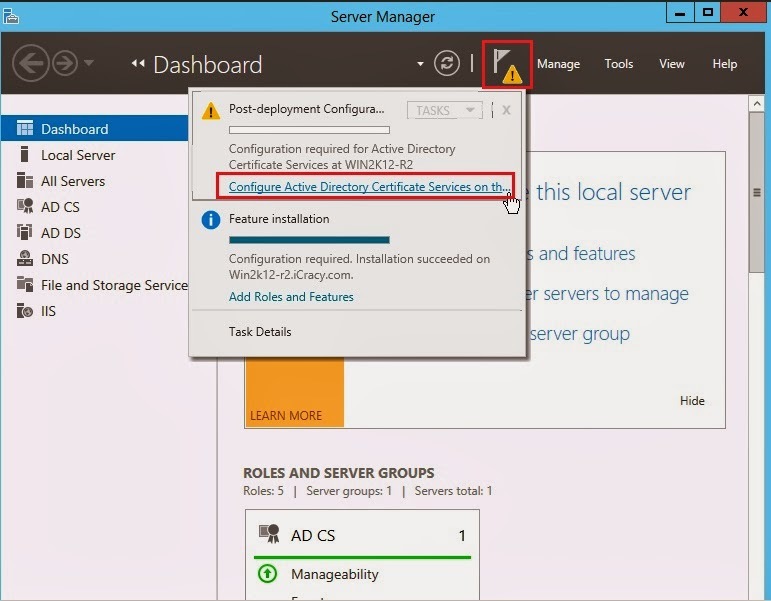 In this article we are going to show you how to setup Lync 2013 under Windows 2012 R2 datacenter edition. 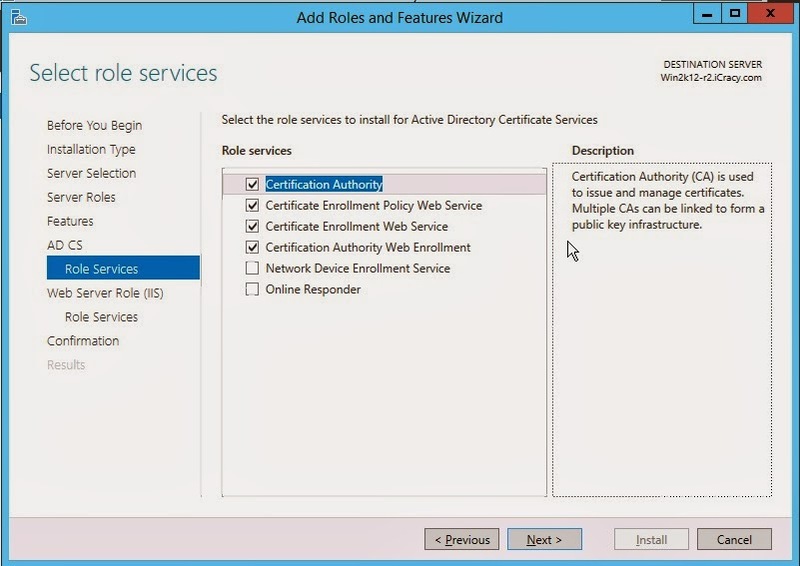 This step by step guide will help you to demonstrate and deploy Lync server in production environment. 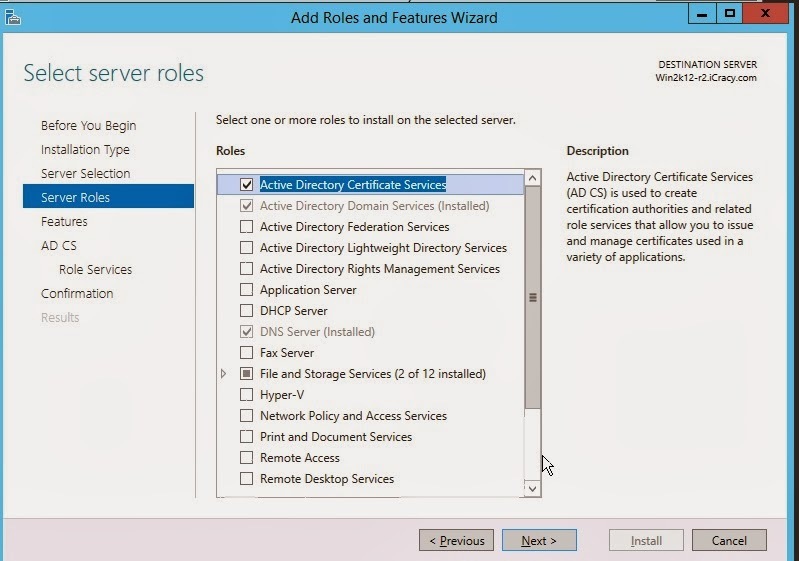 I will not cover active directory setup in this guide. 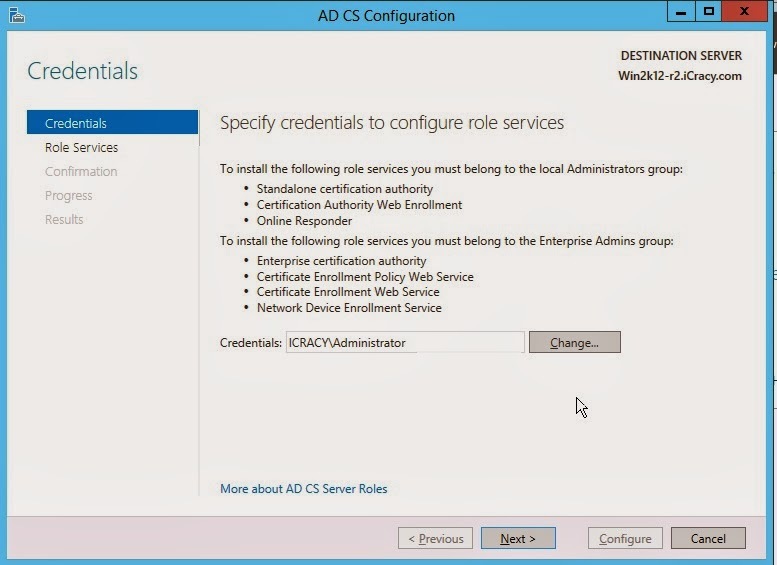 Please visit following link if you want to read how to setup active directory. 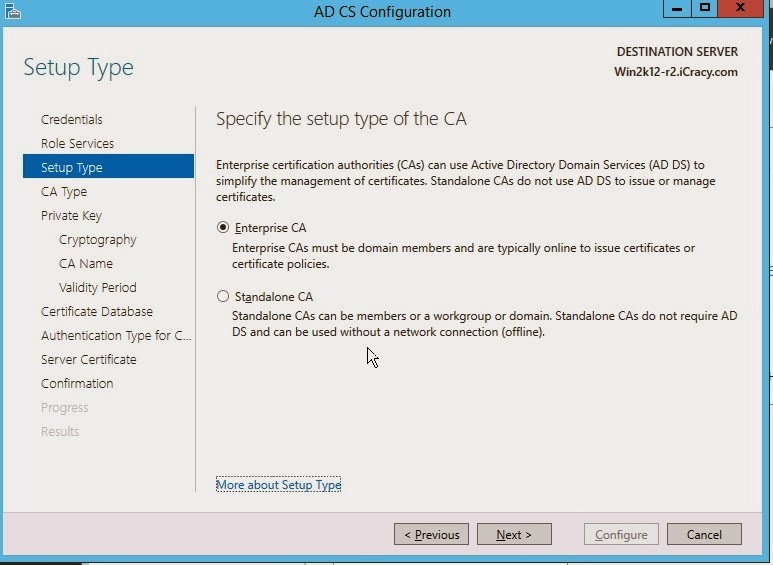 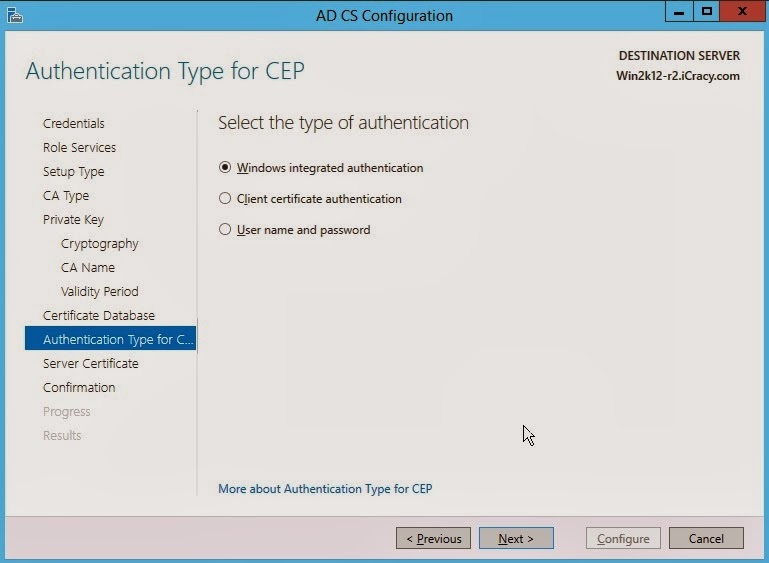 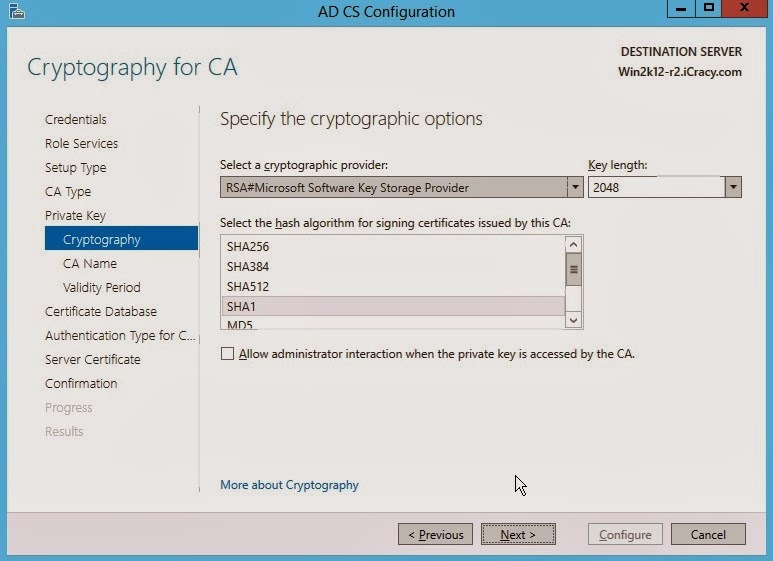 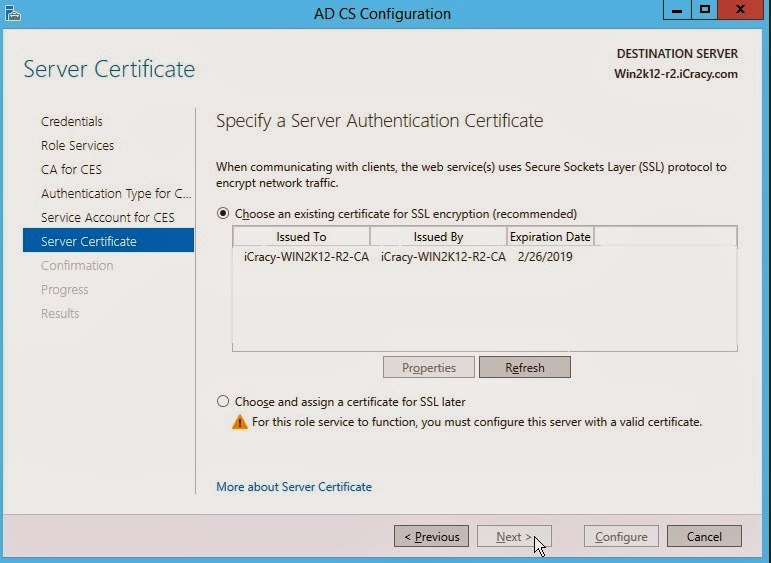 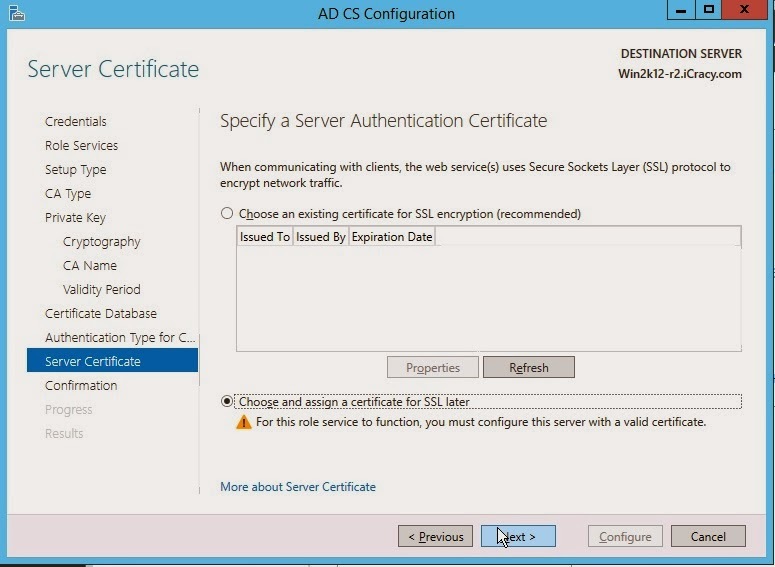 Start > Server Manager > Add Roles and Features > Active Directory Certificate Services. 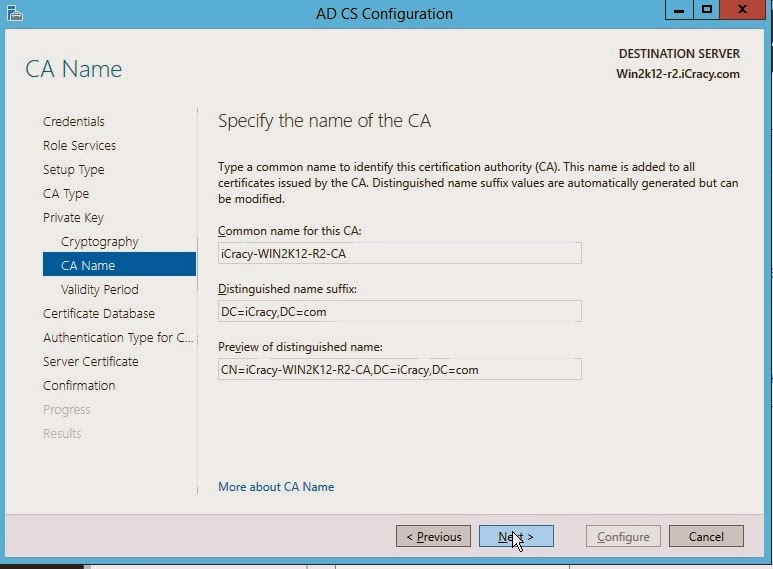 Select all four options and click Next. 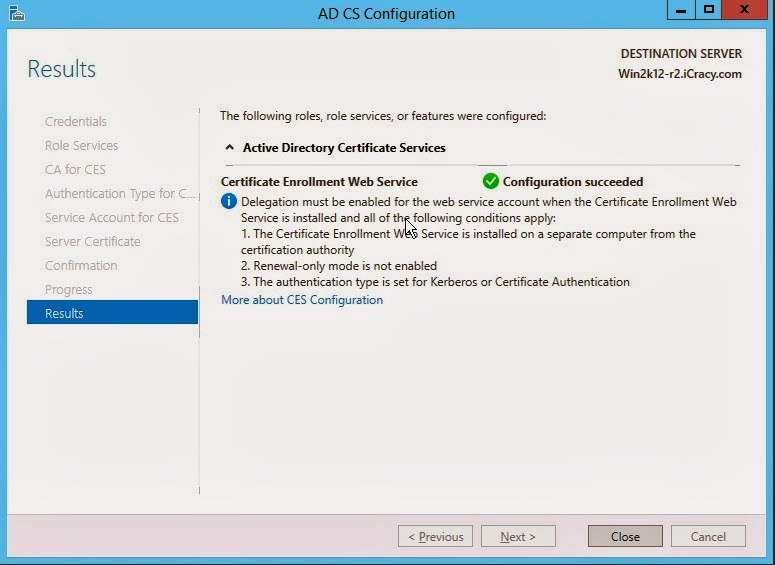 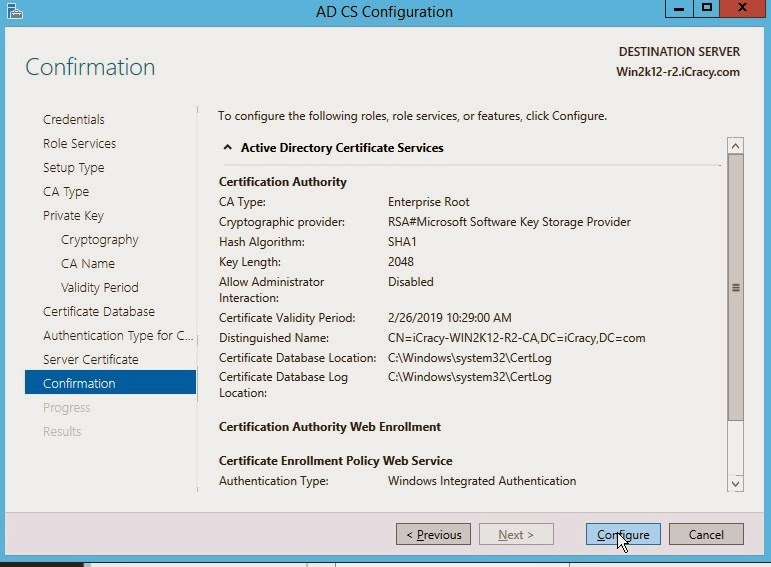 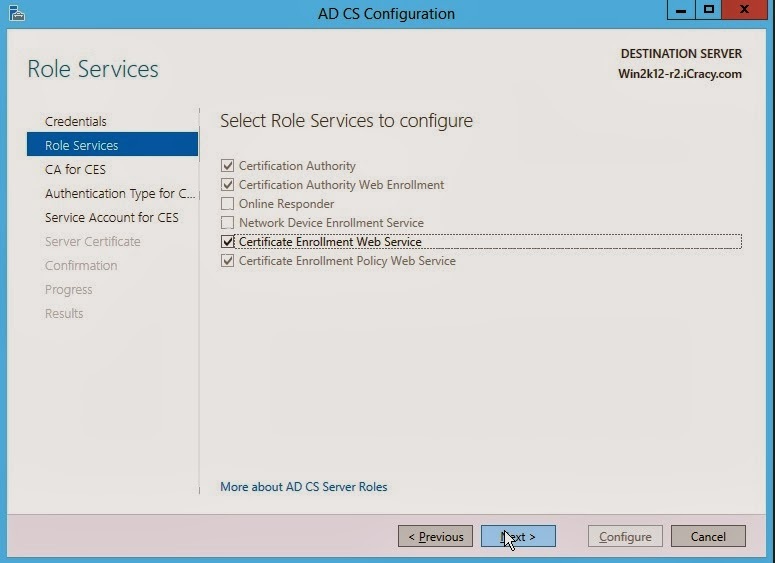 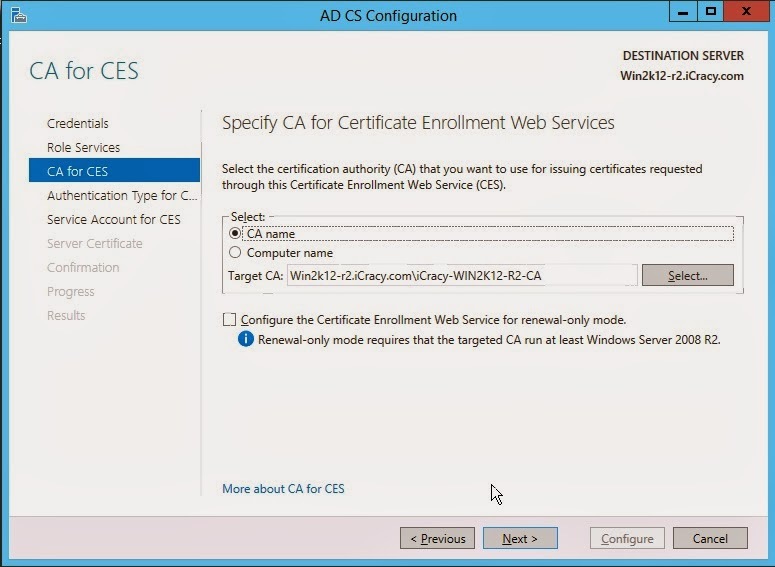 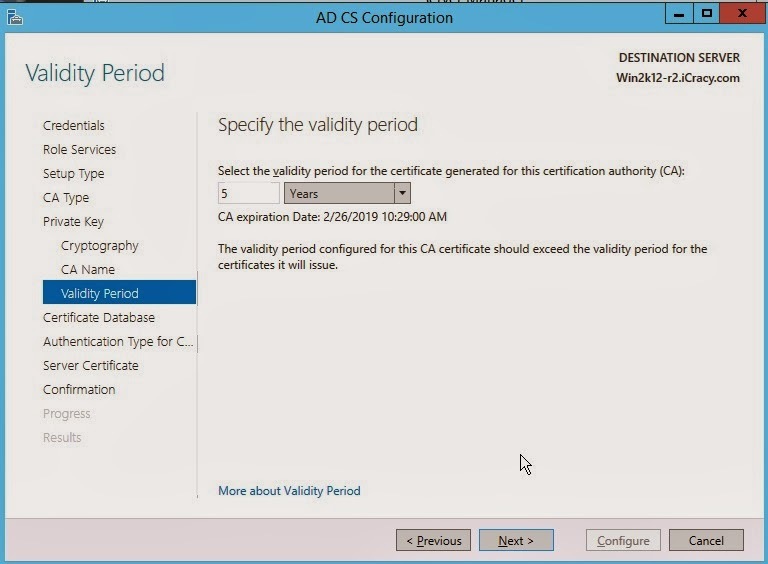 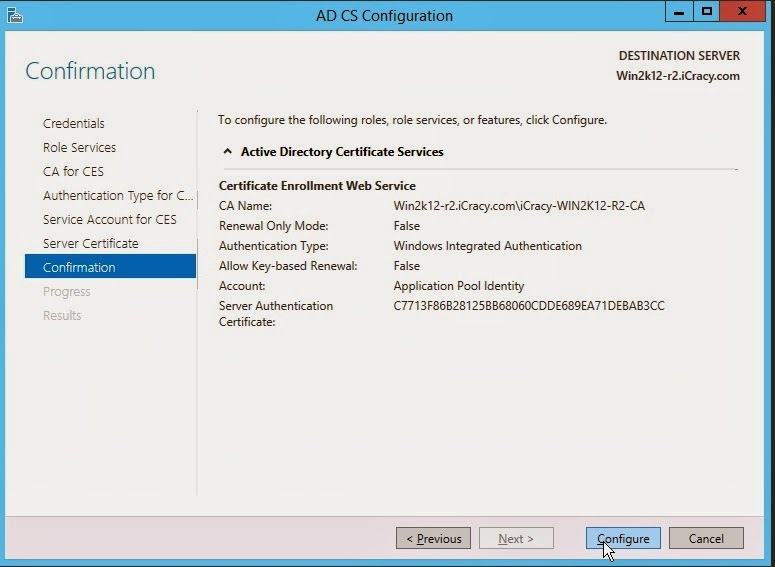 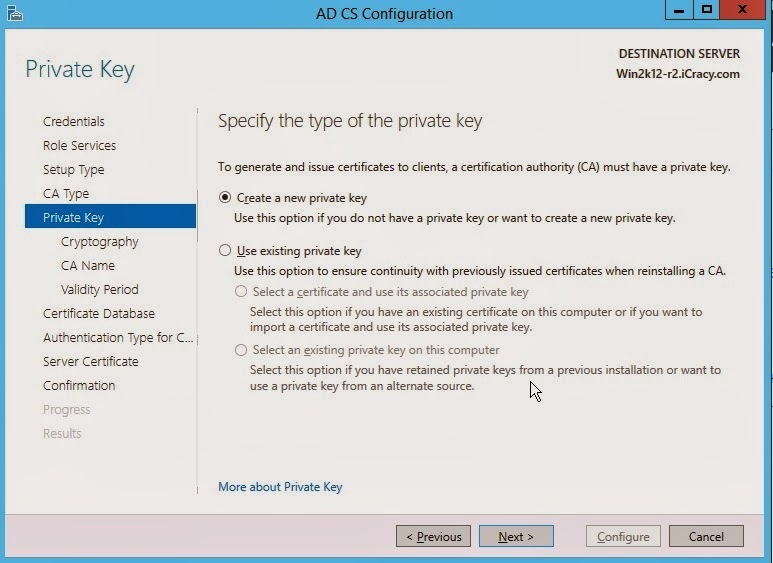 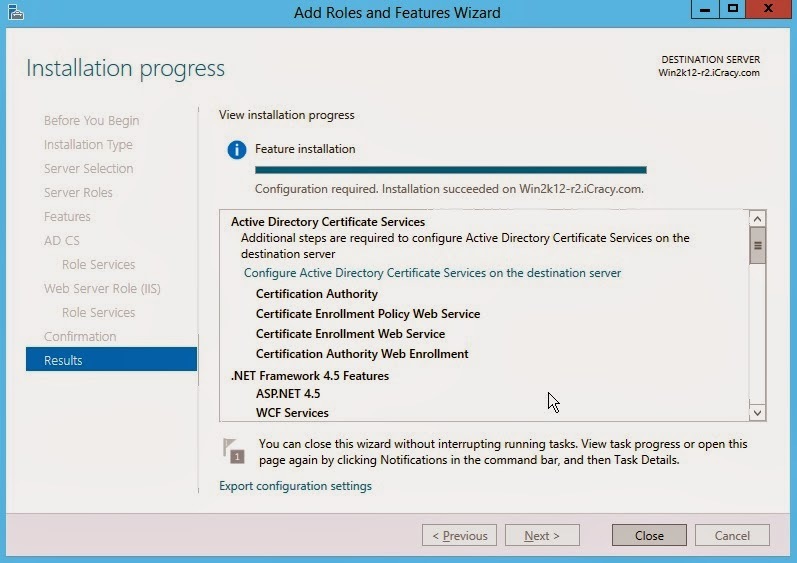 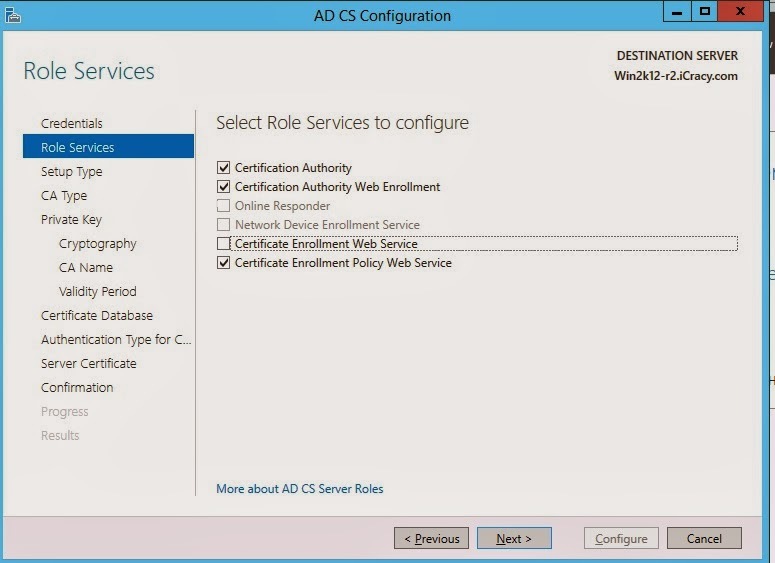 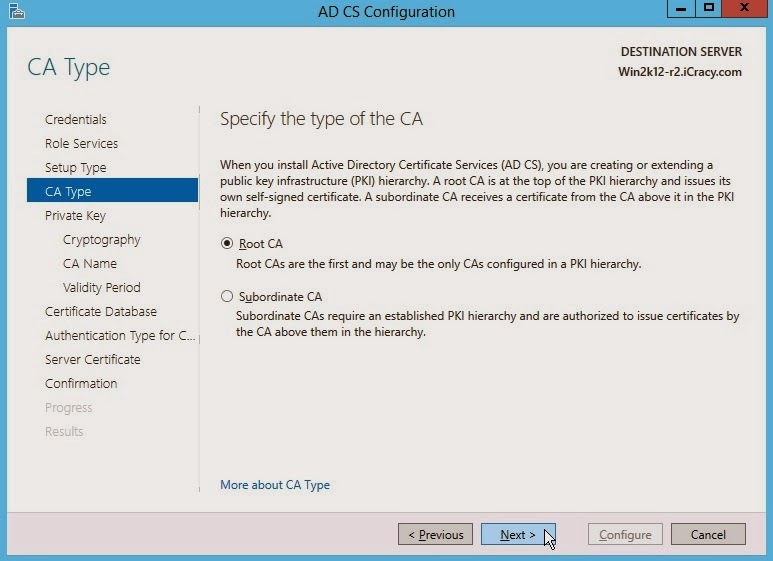 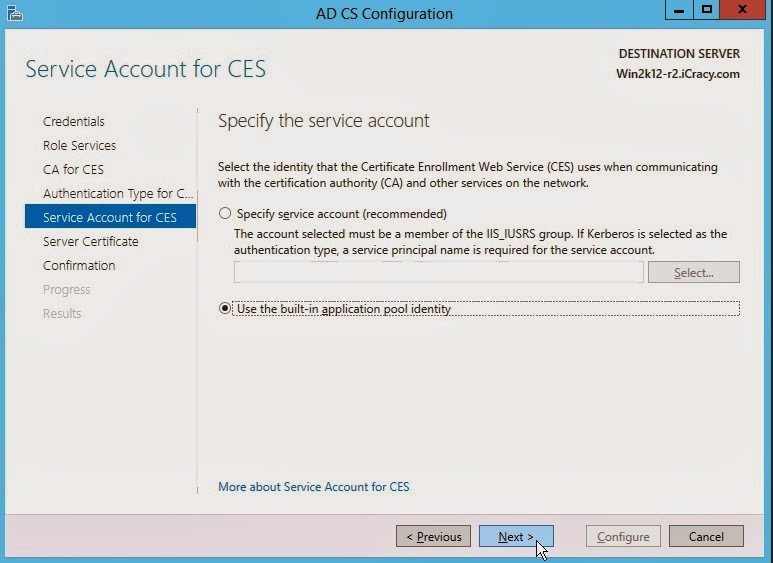 Active Directory Certificate Services roles installation completed. 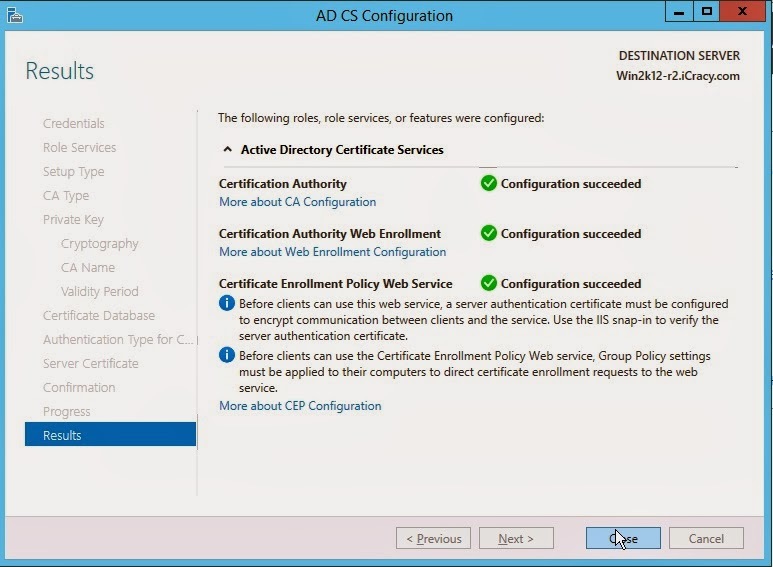 Certification services installation and configuration completed.